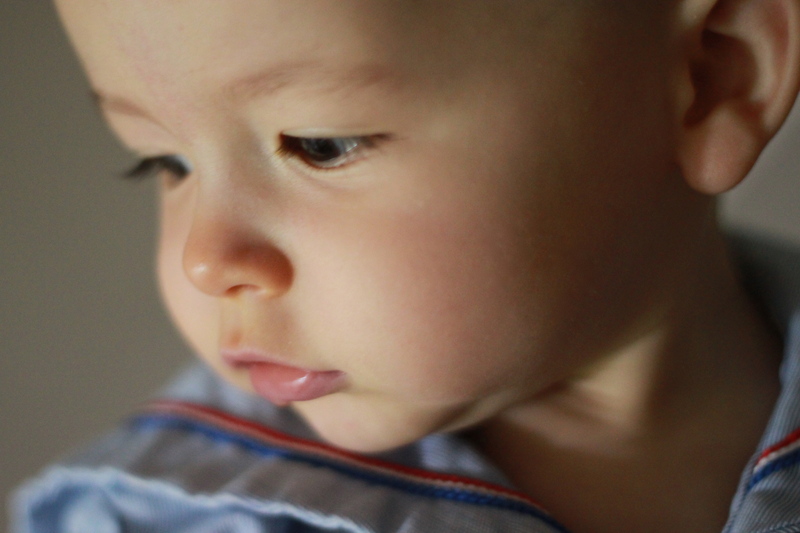 Published on July 29, 2011 by cara.b.b. if you read my last post, you know i’m trying to get more on the ball about creating a ‘system’ for this house to get it running more smoothly. well, two things popped up in the last couple days that are related, and thought i’d share. first, after reading my post, my sweet mother in law suggested that i read sidetracked home executives, a book she read when she was at this very same stage in life. mr. amazon was kind enough to deliver it today, so i’m going to see what these ladies have to say. the first few pages are pretty funny, so i think it’ll be a pretty entertaining read. second related note is that emily over at jones design company has started a new offering, a monthly printable collection. well, one of her printables is a ‘house duties’ grid for both adults and kiddos. if you’re like me, having it printed out on something pretty will make it more bearable to look at. so, enough housekeeping talk, and on to something more fun. 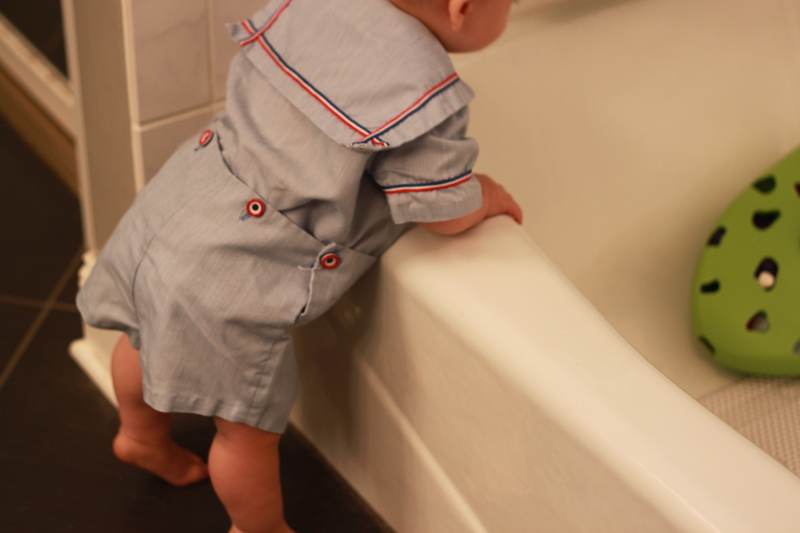 the short guy’s favorite new activity is to climb the stairs and make a b-line for the bathtub. whether or not there’s water, he wants to get in and play with his toys. too funny. that sweet little outfit is one that jared’s aunt deb made when he was a wee one – that means it’s 30 years old – totally vintage. i had to get him in it for a few photos. one last thing – a hot tip for parents of kids eating mush. i really can’t claim that this is my own hot tip. i’ve watched a few other mamas (meredith and regan, i’m lookin’ at you) do this and thought ‘what a great idea’, so thought i’d share with you. if you’re trying to feed your little one on the go, i think these are the best. 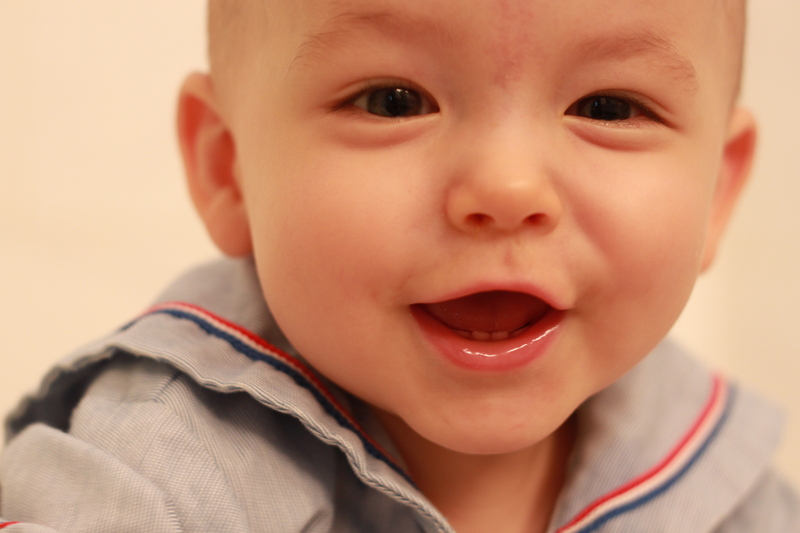 you can just squirt a ‘bite’ at a time straight from the bottle into your little one’s mouth, and there’s no clean-up…well, other than that sweet face. 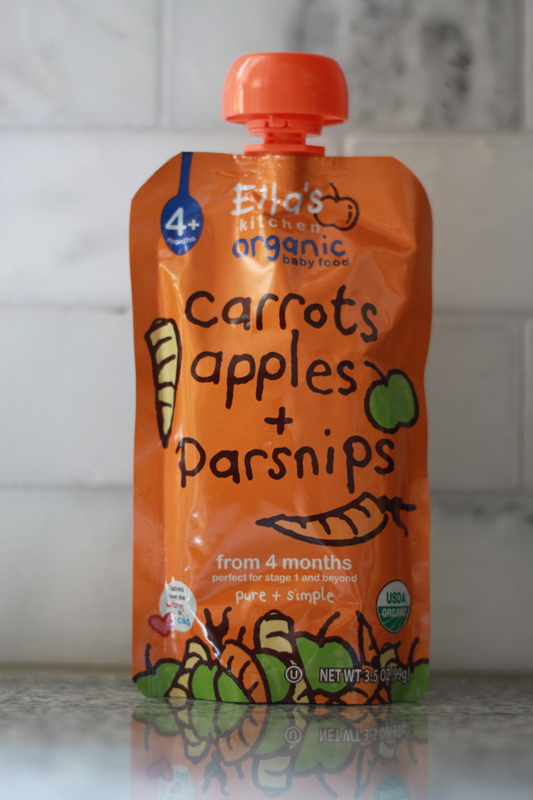 the ella brand comes in some unique flavors (i mean, when was the last time you had parsnips or rutabaga? ), and b-man loves them. Hi Cara! It’s Aunt Deb. Heather messaged me to look at your blob. First of all, you are hilarious. I love your sense of humor. As far as getting organized, if anyone can do it YOU can. I can’t imagine you being as unorganized as you think you are. Do remember though that being Mommy is what Beckett will remember. Not your “unorganizationalism” (not a word) :) Also Beckett’s vintage attire sure brought back memories. Thanks for the memory walk. Although, if my old memory recalls correctly Jared’s little bottom filled out the backside a little more. :) love ya Jared. Hope to see you all soon. Beckett is still as cute as ever!!!!!!! hi deb! you’re great to remind me that beckett is not going to remember how clean the house is. i need to think about that more often. becky sent me a picture of jared when he wore the sailor suit and he was 2 – no wonder it was a little big on b!